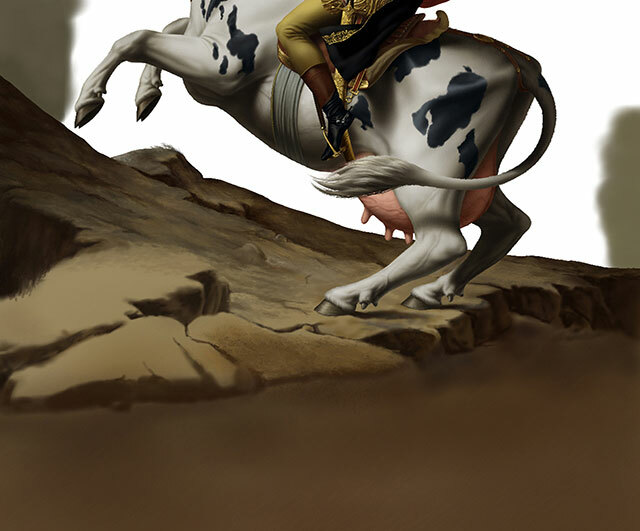 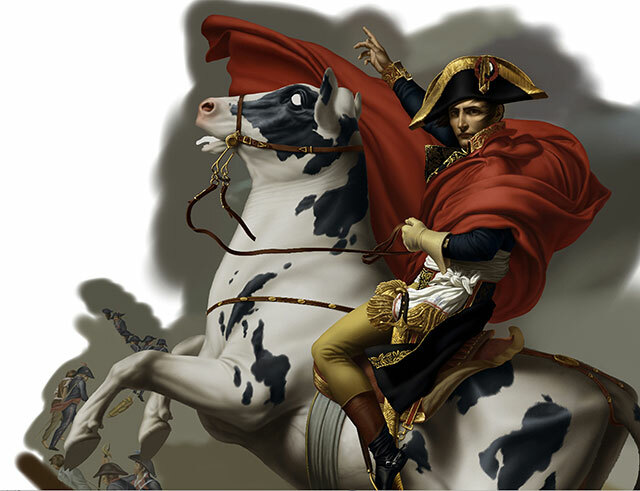 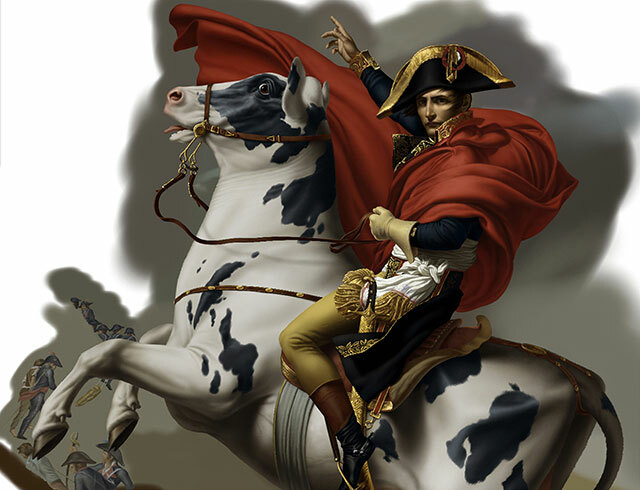 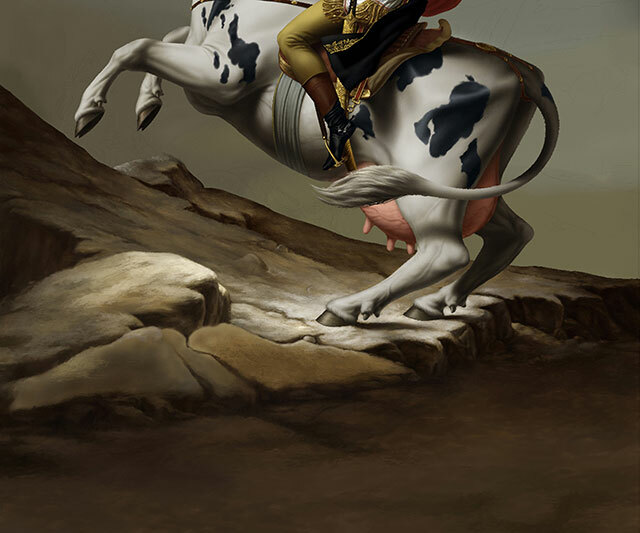 Almost completed the Napoléon figure, technically: blocking colours and rendering up to a point: here comes the cow! 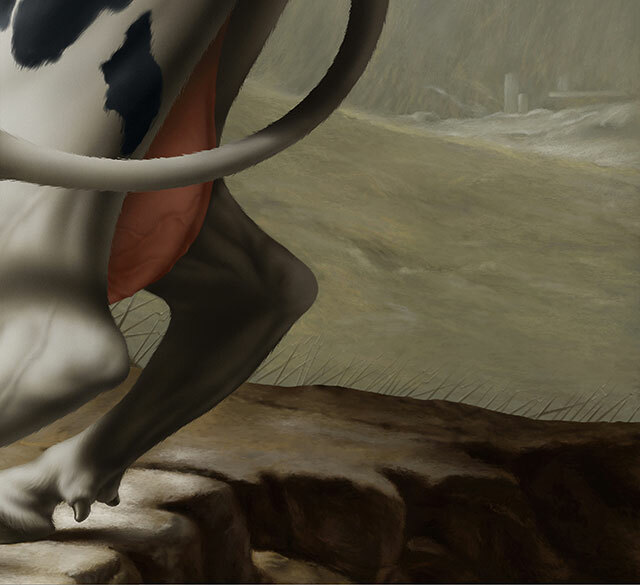 Keeping in mind that the client wanted the cow to be painted like the original painting of the horse ; but they wanted the muscularity of the cow to be toned down. 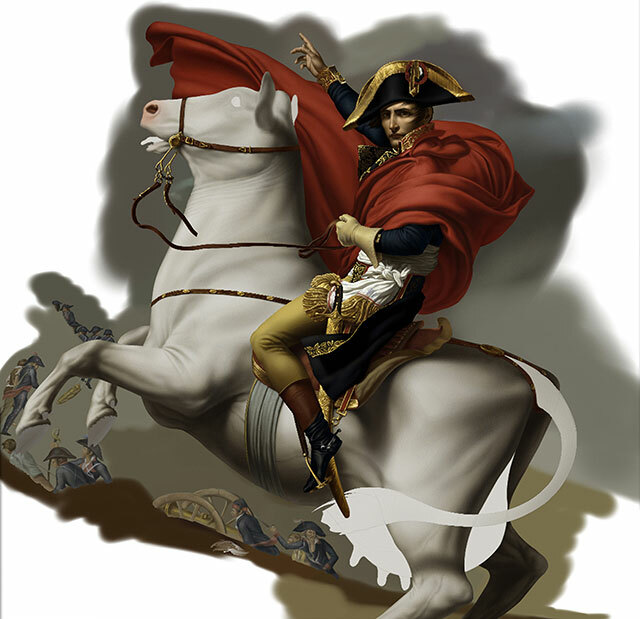 Because this image was going to be used for different formats (bus shelters, posters, etc): there were more “paint” added all around, compare to the original painting by Jacques-Louis David. 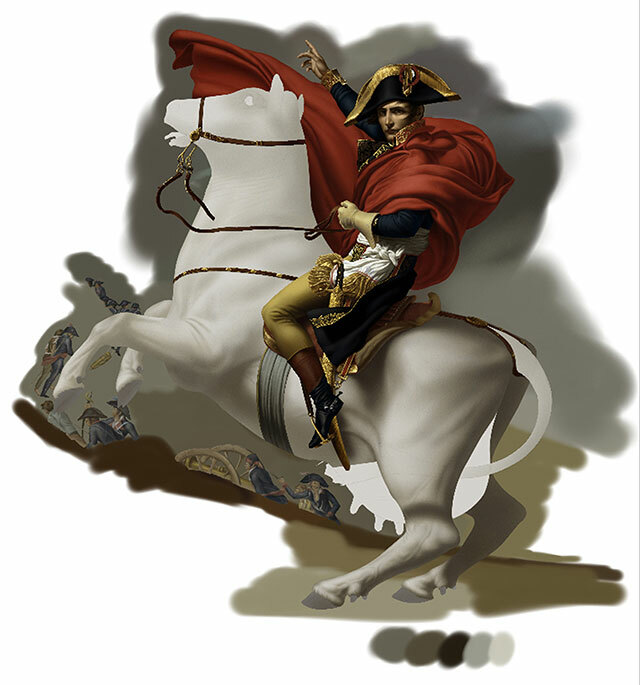 Keeping in mind that I had to match the extra painting had to look: as if it was just like the original painting. 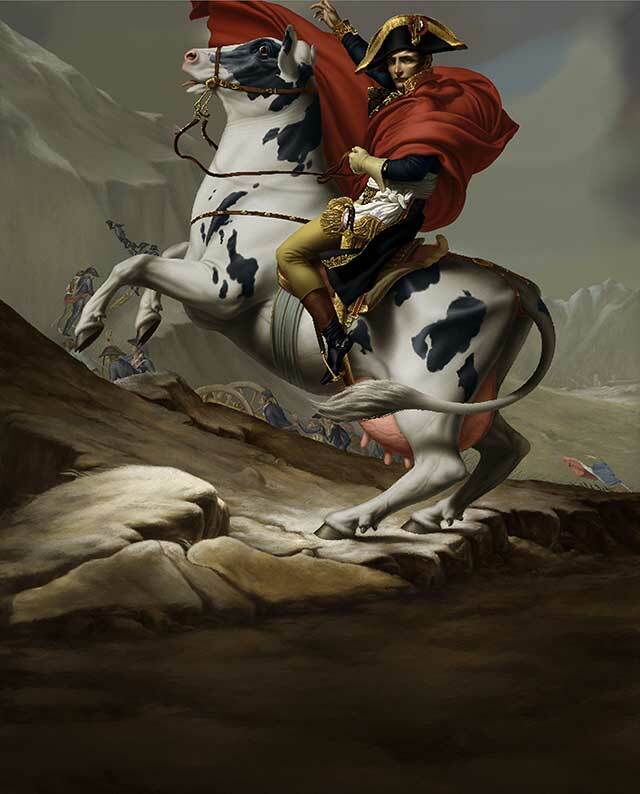 Because most of us look at paintings like the original by Jacques-Louis David’s Napoléon, identifying with the major theme: in this case: Napoléon Bonaparte on his horse: when you have to “duplicate” the painting like this project dictated: you start discovering all these elements in the background that otherwise would not have grabbed you initial perception of the image. 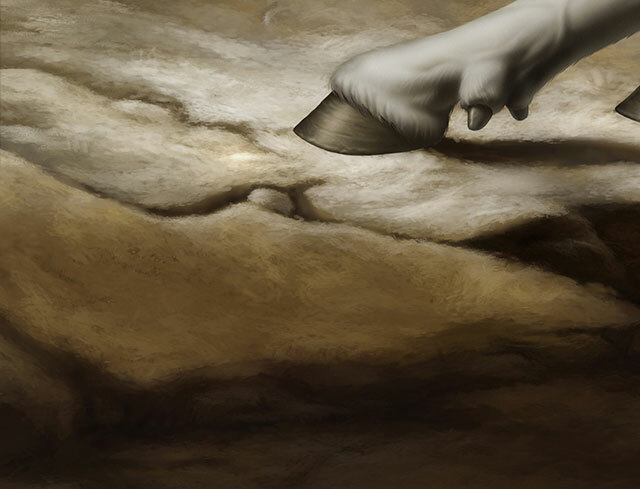 Next step: completing that background…! 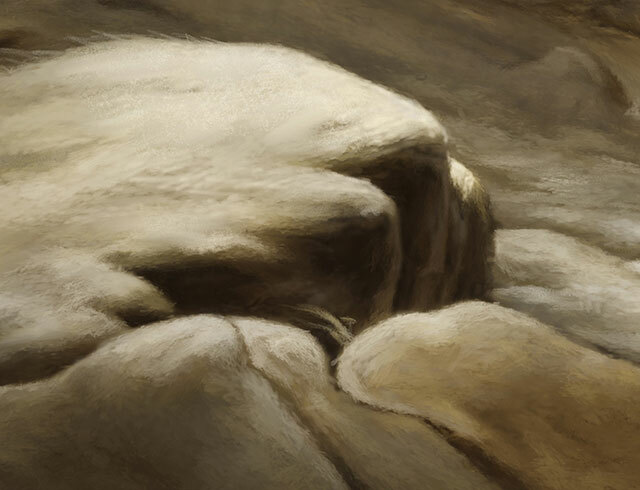 Found This Painted T… on The gilded cage.